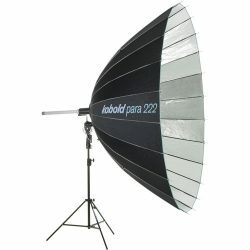 The Broncolor Para 222 features the unique ability to focus and defocus in order to give the subject a distinctive three-dimensional look. 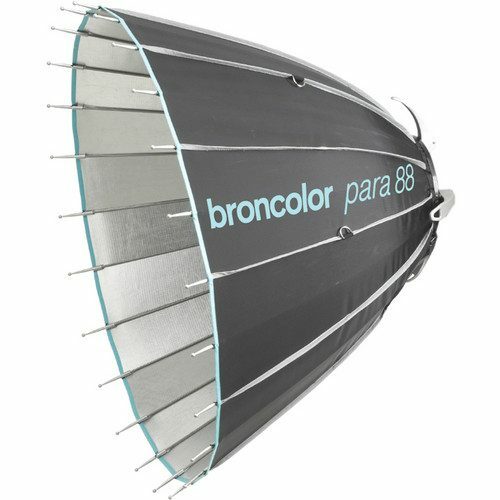 The Para 222 features silver inside coating and dimensions of 87″ diameter by 45″ deep. 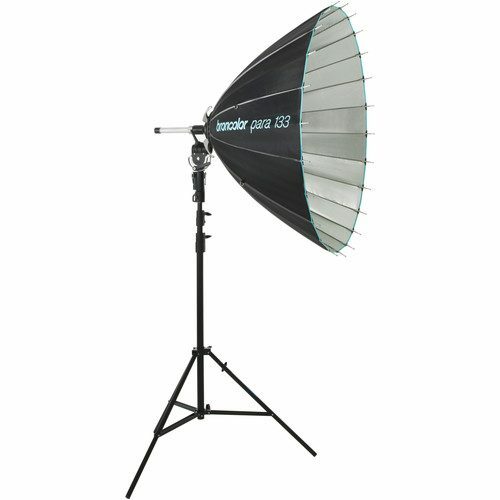 It can be used with strobe lighting up to 3200 W/s, or continuous lighting up to 1600W. The f-stop at 10 ft distanced and focused is 11 2/10, and at 33 ft is 4 7/10. Lux at 10 ft distance and focused is 22000 Lux, while at 33 ft is 4400 Lux.